When looking for treatment from whiplash injury, Dr. Kris at Core Wellness Centre in Toronto offers chiropractic and physiotherapy care. A whiplash injury effects the soft tissue in the neck and shoulders as well as constricting the vertebrae of the spine. The muscles, ligaments and tissues are strained beyond their normal range, which can cause them to tear. Whiplash is a common injury sustained during motor vehicle accidents but is ignored or dismissed due to lack of knowledge and stigma associated with a whiplash injury. Whiplash injuries are the hardest of injuries to pinpoint and diagnose. 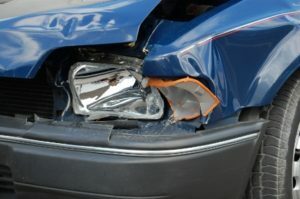 Whiplash is a common injury during a motor vehicle accident, but it can occur in any situation where the circumstances are right. The victim of whiplash is usually in a seated position and is impacted from behind. The person’s upper body is thrown forward, but the neck and head fall backwards. After the first few seconds of impact, the head and neck are thrown forward. When the neck and head fall backwards, the lower bones in the neck are in a state of hyperextension, but the upper bones are hyperflexed. The two positions contribute to the tearing of muscles and the constriction of the spine. Any situation in which the victim is stationary and impacted from behind has the potential to result in a whiplash injury. The injury will be hard to determine at first because there are no broken bones to diagnose. The victim may not feel any pain for 24 hours after a whiplash injury. The whiplash injury symptoms include the obvious pains like neck pain and headache. There are other symptoms that might make a diagnosis confusing like fatigue, jaw pain and arm pain or weakness. The shoulder pain, dizziness and vision problems might seem unrelated to a whiplash injury. When the pain doesn’t subside, victims of whiplash injury might start to feel depressed, angry and frustrated by the constant pain. Directly after an injury, the hospital or doctor’s office will take x-rays for more serious breaks that may require immobilization. Whiplash isn’t diagnosed through x-rays because tears in the muscles and ligaments are not visible on an x-ray. An MRI might be used to see tissue damage. A stiff neck, headache and an inability to move without pain along with the other symptoms will help with the diagnosis. The doctor may require a cervical collar be worn for a week or two to immobilize the neck. In the past, cervical collars were worn for weeks, but studies have shown that keeping the neck immobilized for several weeks is a mistake because it slows down the healing process. Early range of motion exercises are crucial to a quicker recovery. Unfortunately, a quick recovery from whiplash can still take weeks or months unless a patient sees a chiropractor early in the process. The chiropractor treats the muscles as well as the spine to help return the patient’s range of motion. When Should I See a Chiropractor for Whiplash? It’s better to visit a chiropractor early so that he or she can recommend a treatment plan that may take weeks off recovery time. When a patient uses chiropractic treatment for whiplash, the sooner the pain will disappear, and the sooner the patient can return to regular activities. If the pain isn’t gone or decreased significantly within the first week after injury, visiting a chiropractor is the next logical step. The patient will meet with a chiropractor to talk about a treatment plan based on the accident and type of pain. The chiropractor will gently rotate and move the neck to observe the type of motion restriction. The chiropractor talks to the patient about exercises, muscle relaxation and stimulation before they agree on a plan. The exercises administered by the chiropractor will be gentle stretches to loosen the tightened muscles. The chiropractor applies pressure to points on the neck, shoulders and head that will relieve pain and loosen muscles. Chiropractors can evaluate the patient’s lifestyle and suggest improvements to work and home ergonomics. The chiropractor can recommend lifestyle changes that will help in recovery. A chiropractor will talk to the patient about the various aspects of their life to suggest long-term changes. The patient may need to change office chairs, add an ergonomic chair to their living room, alter the way they drive and buy an ergonomic pillow for sleeping. The recommended changes will help the healing process as well as long-term spine health in the future. Dr. Kris Dorken at Core Wellness Centre has seen thousands of patients with injuries. He has effective, safe and gentle chiropractic treatment for whiplash neck injury. Call (416) 479 – 8311 to book your appointment. Core Wellness Centre is located with easy access to downtown Toronto and close to St. Clair West subway station.